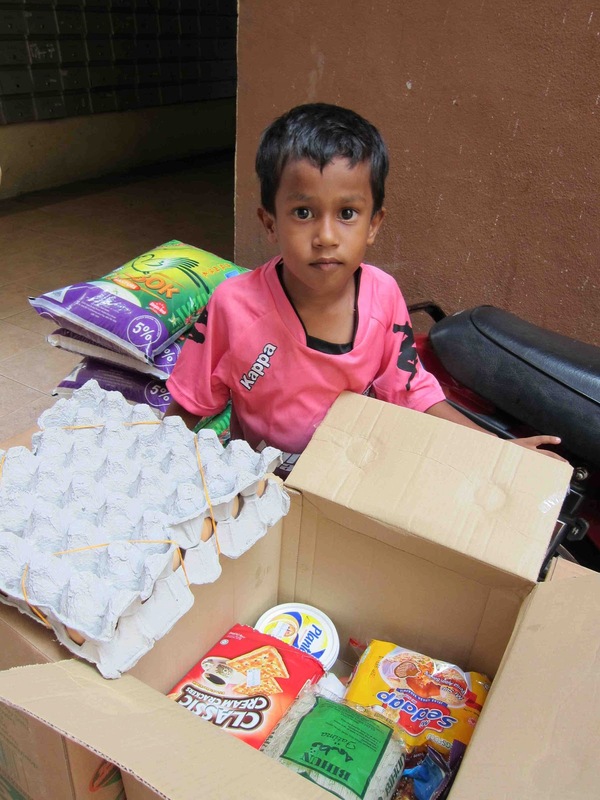 We made sure the groceries for our 15 families were delivered at the start of the school holidays to ensure the children have food at home while their mothers are at work. The children were delighted with the goodies, as they get to have their favorite easy-to-cook instant noodles for their meals at home, as well as biscuits for snacks. Simple foods these may be, but at least they will not go hungry at home. Even a simple meal of steam rice and eggs is healthy and yummy. Mr Maran and his wife, Vijaya, have six children. 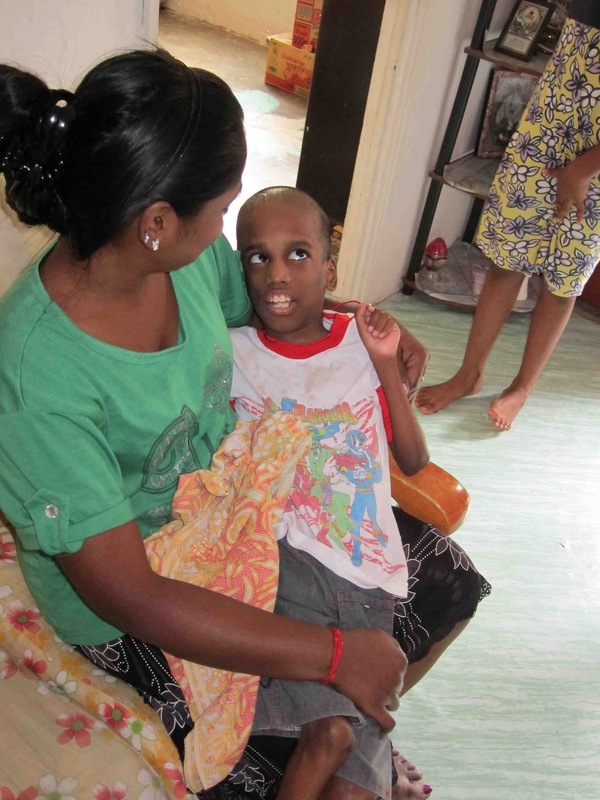 Their middle son, Sasitharan is a 12-year-old disabled boy. 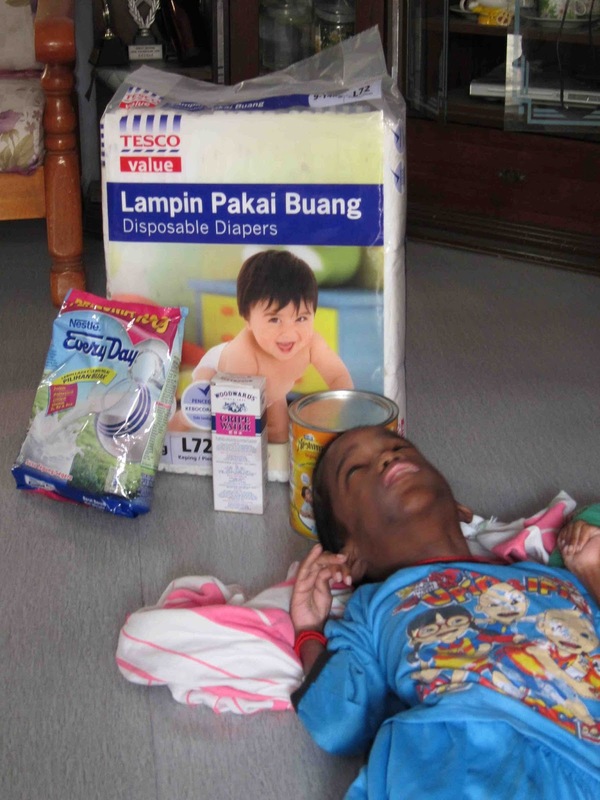 Sasi was born normal, but at 2 months old he had liquid in his brain. 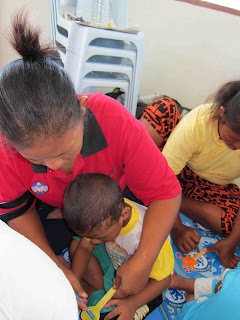 After a series of 5 operations, 3 on the head/brain and 2 on his stomach (at the age of 2 months, 5 months, 1 yr+, 2.5 yrs, and 4 yrs), he became blind and crippled. 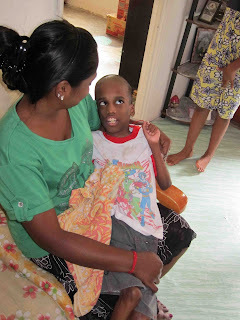 Sasitharan's head is still swollen due to excessive water in his brain. Sasi can only eat liquids and soft foods and is dependent on his mother's 24-hour care. Doctor recommended Sasi drinks Simlac but the family could not afford this expensive milk. 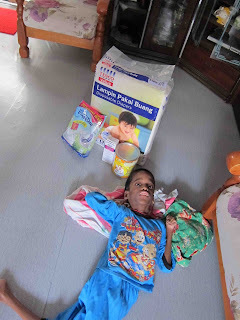 Vijaya finally settled on Everyday which is more affordable and tolerated by Sasi. 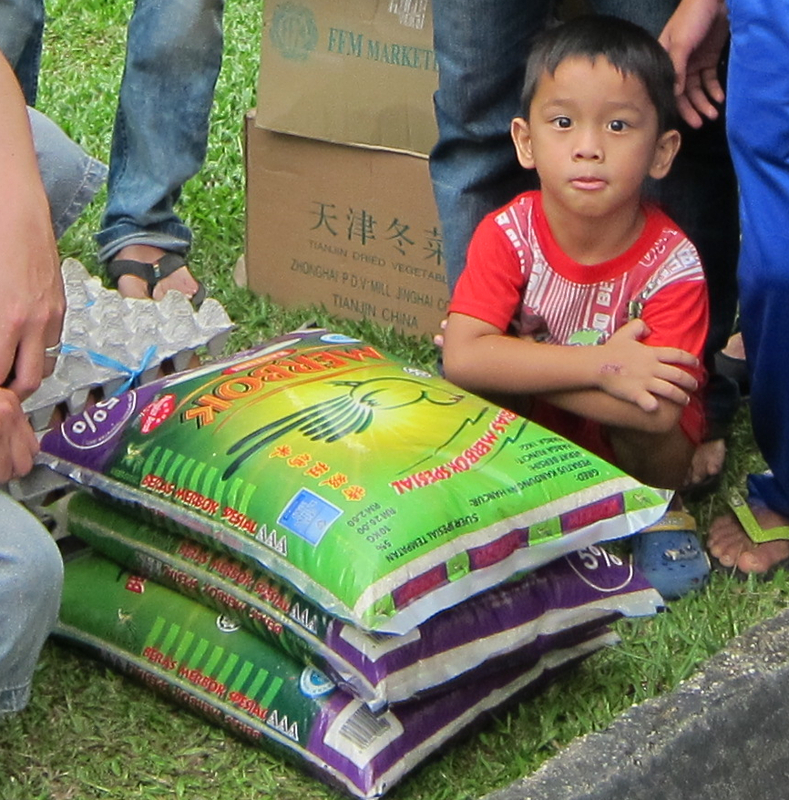 His father, Maran, 38 years, works as a gardener at a Sentul school. 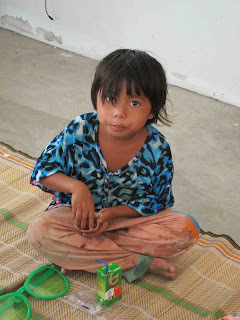 He is the only breadwinner and has to support his wife and six children with his salary of about RM900 per month. The family lives in the City Hall flats in Sentul paying a rent of RM130 per month. 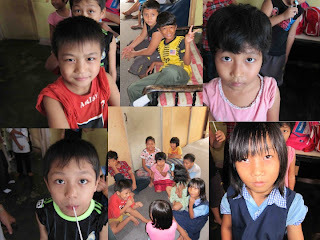 Sasi’s other 5 siblings are normal school-going children. Sasi's family is currently in MOW FOOD BANK program whereby we provide groceries up to RM100 per month. If you would like to specifically help with Sasi's expenses, please contact June (03-77849002 or email trccpenchala@gmail.com) or Kim (012-3036019 or email yeapkimsee@hotmail.com). Donations in terms of cash/cheque can be deposited into our account (Acc Name: Ti Ratana Community Centre Penchala, CIMB, Acc No: 14660000259057). Please email the bank-in slip to trccpenchala@gmail.com and specify in the email the funds is for MOW HAPPY CHILD - SASI. We do not encourage cash/cheque to be given directly to the recipients, so that we can better monitor how your contribution is spent. 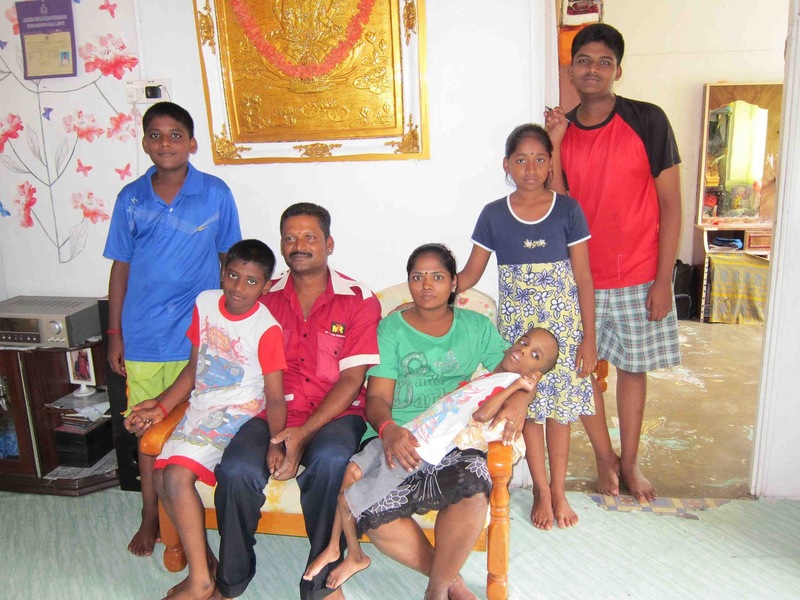 On behalf Maran, Vijaya, Sasi and his siblings, we are grateful for whatever support you can extend to the family. What a heart-warming sight to behold ... children pouring over books in the community hall of the Orang Asli in Pulau Indah. 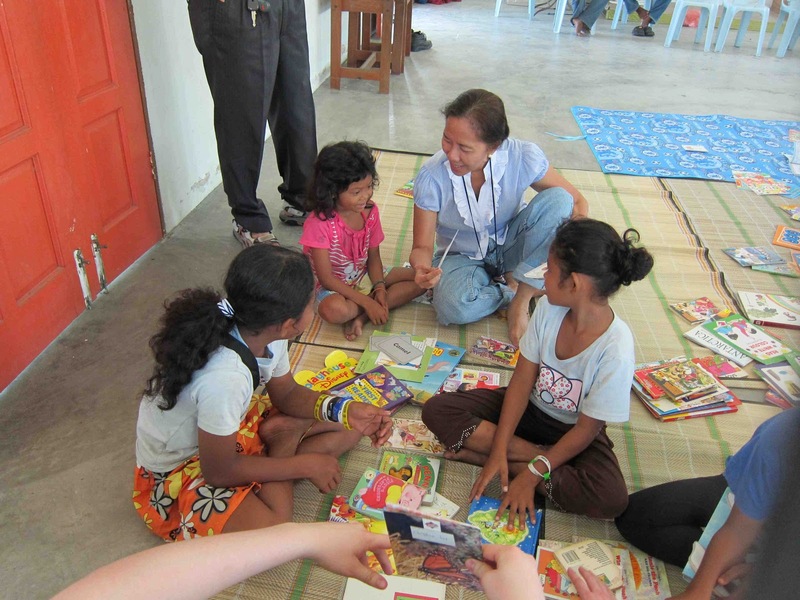 On the morning of 18th May 2013, Meals on Wheels Ti-Ratana fulfilled the wishes of the Orang Asli in Pulau Indah to have a library for their children. 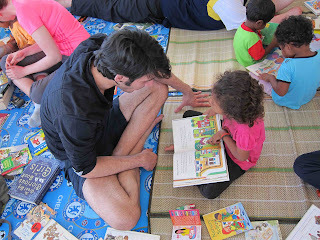 With volunteers from Poiema Church and university students from Canada, we brought the sleepy and quiet community hall to life ... piles of books placed on floor mats for the children to choose and browse, with guidance from our helpful and enthusiastic volunteers. 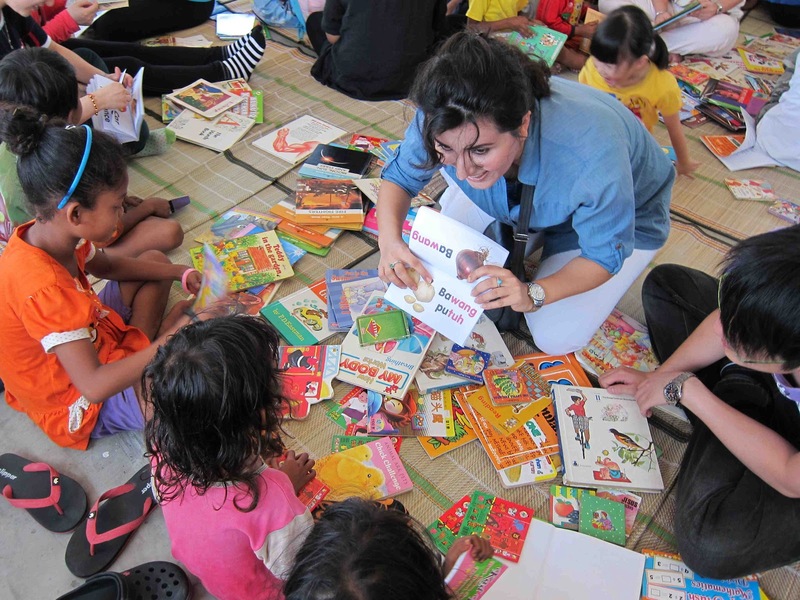 The various expressions on the children's faces depict their joy, curiosity, interest and delight in spending their Saturday morning reading, learning and interacting with our volunteers. Apart from the books, the children were given simple art pieces to paint. 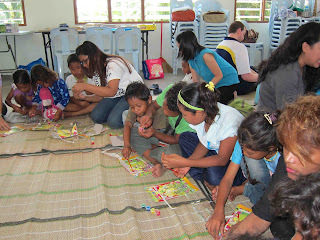 They were so engrossed in the activity and some were earnestly creating their "masterpiece". Some of the curious mothers came along to see for themselves the commotion in the community hall. 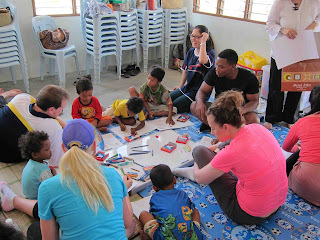 And a few of them encouraged and helped their younger children with the painting. No Meals on Wheels event will be complete without FOOD ... the children were treated to KFC, muffins and chocolate milk drinks. But first, they had to wash their hands. 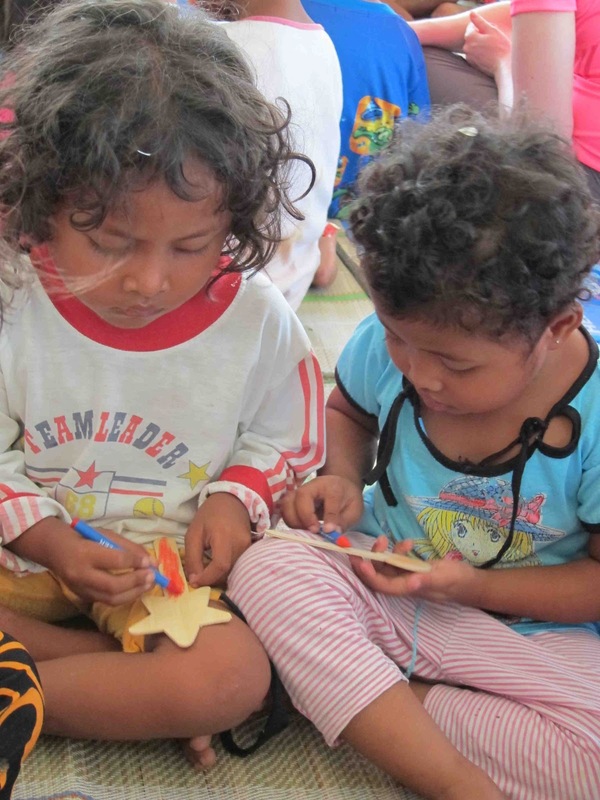 Our experience with these children tells us that they are hungry for knowledge; they want to read, learn, draw, paint, make things with their hands and much more. All they need is access to the materials and a little helping hand to guide them. 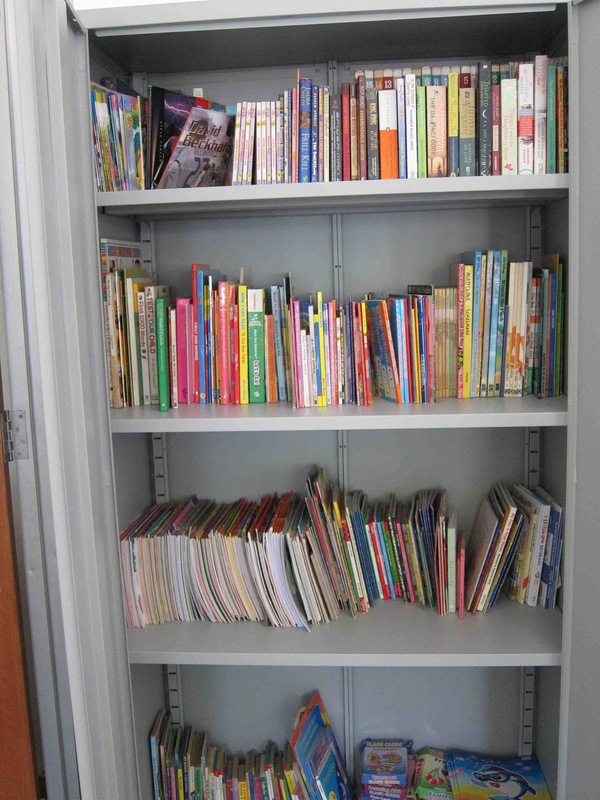 18th May was a good start ... the children in this community finally has a library to call their own ... small, it may be, but we hope this will sow the seed for a healthy reading and learning culture. And most importantly, to all the volunteers who spent their Saturday morning with the children, THANK YOU, THANK YOU, THANK YOU ... it meant a lot to them to know that YOU CARE. 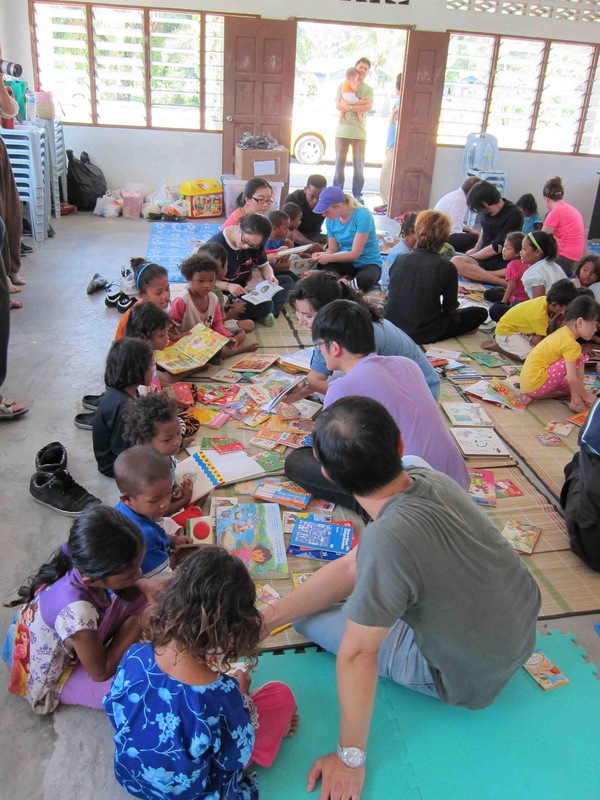 Last but not least, to some of the volunteers from Poiema Church who will be making regular visits to conduct similar sessions with the children in Pulau Indah ... your passion and dedication in helping the under-privileged is PRICELESS. 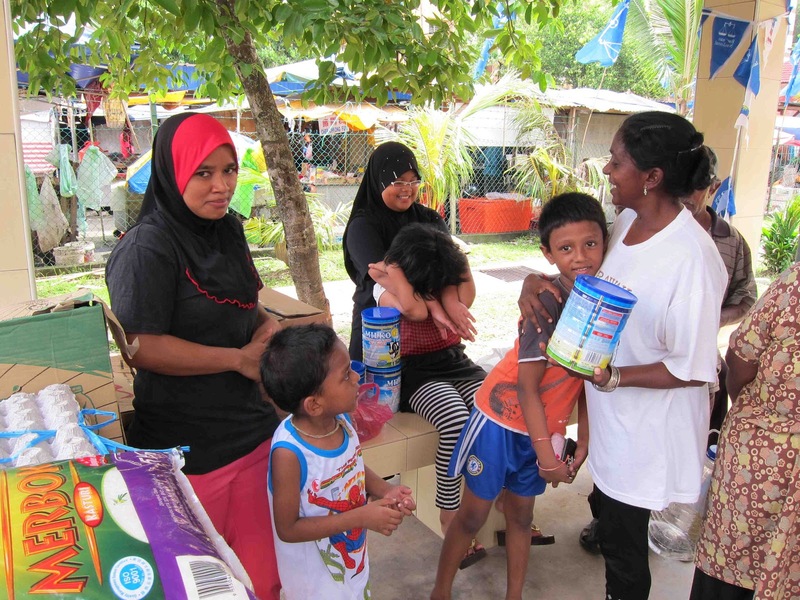 We welcomed two new families to our MOW FOOD BANK program in April 2013 … Madam Thanaletchumi and the Hyams Family. Letchumi has 3 children, aged 5, 7 and 12 yrs. 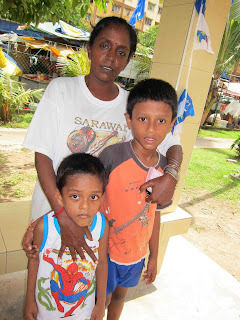 Her husband abandoned the family in 2011. She has two children in school … Sachin walks to school while Gunaswari takes the public bus at RM0.50 per day. 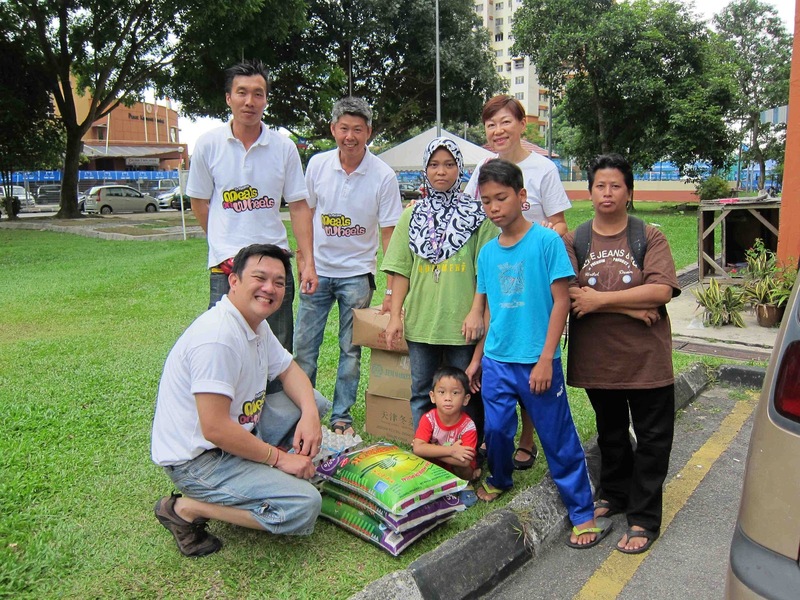 Letchumi works as a contract sweeper with Alam Flora from 7am – 3pm, Mon-Sat, and makes about RM600 per month. 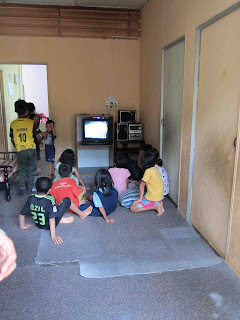 Of this, RM200 goes to rental (she is renting from her brother) and another RM200 to a babysitter to look after her 5 yr old when she is at work. The balance RM200 is definitely not enough for her to feed her family of four. The Hyams family comprise of Sylvia Hyams, 83 yrs old and a former nurse. She has two children of her own, Elizabeth and Douglas, and two adopted children Sharlene and Peter. Sharlene with Down’s syndrome and Peter with cerebral palsy, were abandoned by their parents when they were babies. Sadly, Peter passed away 4-5 yrs ago at the age of 21 yrs. 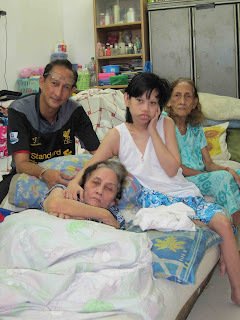 Sylvia suffered a stroke in 1999, and is very weak with a hunched back, difficulty in walking, and needs a cataract operation. Elizabeth suffered a stroke in Nov 2012, and requires physiotherapy at the hospital, 2-3 times a week. 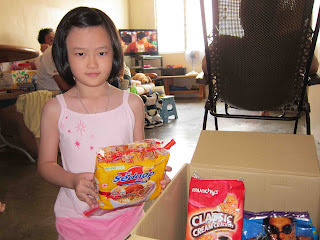 Sharlene, at 24 yrs, only consumes milo and condensed milk. Douglas is the sole breadwinner in the family. He used to do odd jobs and brings home about RM600 a month. 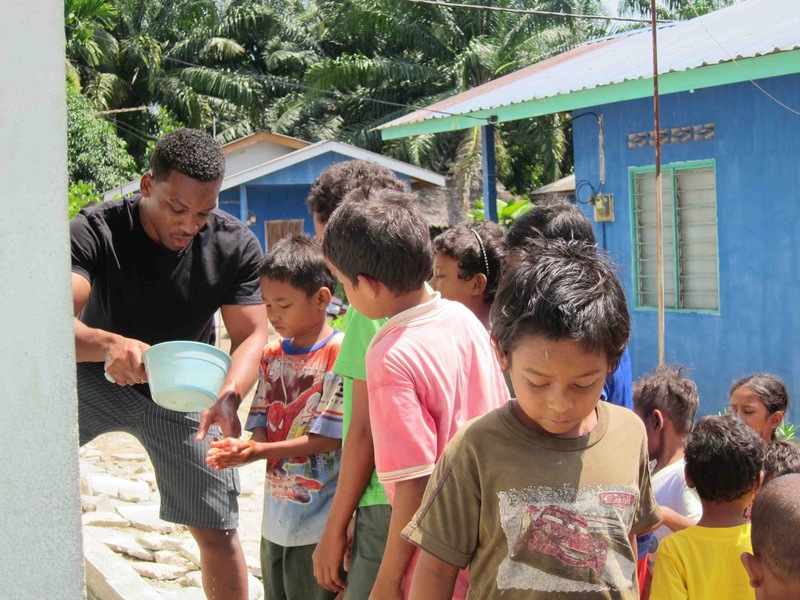 He recently (1st May 2013) started work as a night security guard that pays RM900 per month. He cannot do a full time day job as he needed flexible work hours to bring his family members for frequent hospital visits in his used car. 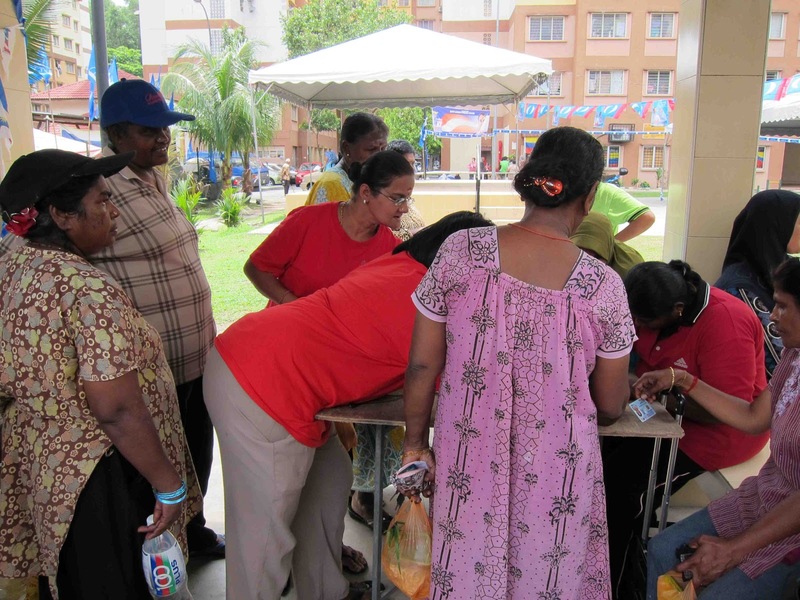 Sylvia gets RM300 a month from Social Welfare, while Elizabeth gets RM300+ a month from SOCSO. Douglas main concern now is the RM8000+ TNB bill he needs to settle to avoid supply disruption. He has tried appealing and getting help from several politicians but all in vain. For more on the Hyams, please click on the link below. 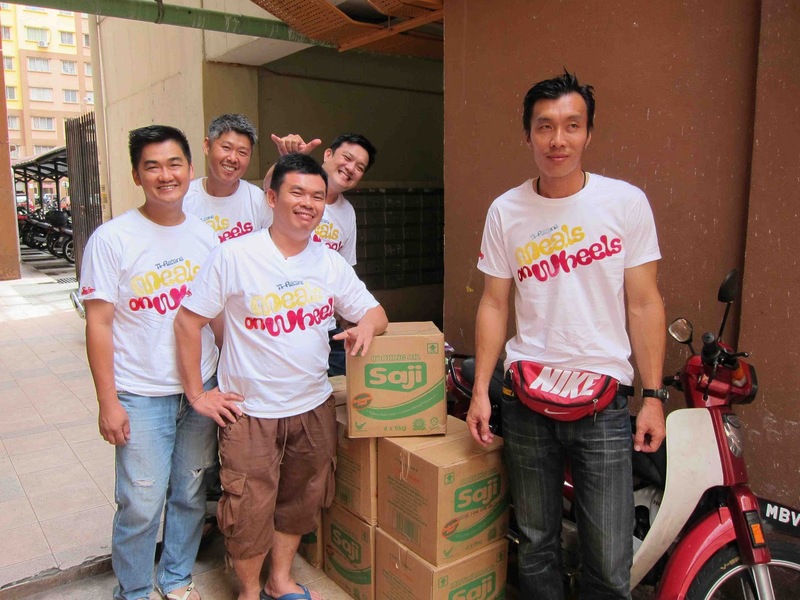 On Sunday, the 28th Apr 2013, the MOW delivery team … Andrew, Ivan, Chee Meng, Swee Keong and Kim loaded the groceries into two vehicles and was off to the first stop, PPR Desa Rejang by 11am. Our FOOD BANK families were waiting when we arrive. This time there were a lot more people hanging around at the gazebo, our usual drop-off point. Apparently some families heard about our grocery delivery and they came to “register” themselves for the program. 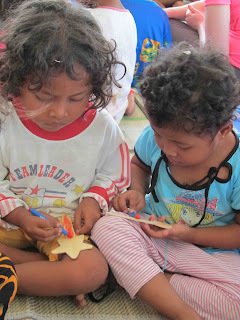 We requested they write down their names and contact numbers, and we will see what we can do to help. 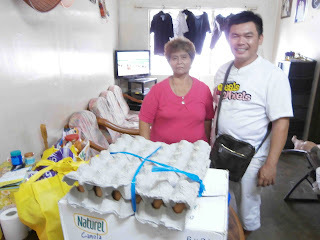 As usual, our FOOD BANK families were happy to be receiving their monthly supplies, a week before the general election. 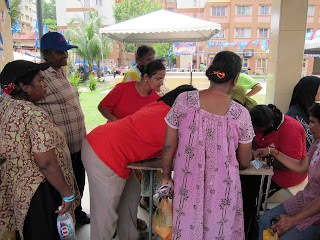 Next stop was PPR Gombak Setia, where Puan Fazilah and Puan Zabiyah were waiting. Puan Padmini was at the church and her stuff were brought up to Puan Fazilah’s flat to be picked later. 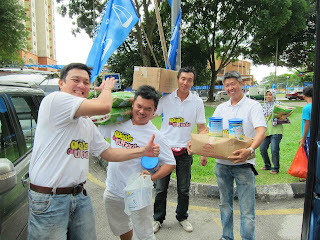 Thankfully, we had our ‘musclemen’ to help carry the groceries up 4 floors to Puan Fazilah’s flat! … while Kim went to Mr Maran’s house in Sentul. 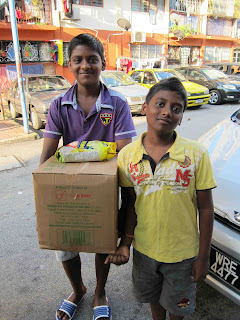 However, the whole family was not home, and the groceries were finally delivered on Tues, 31st Apr. 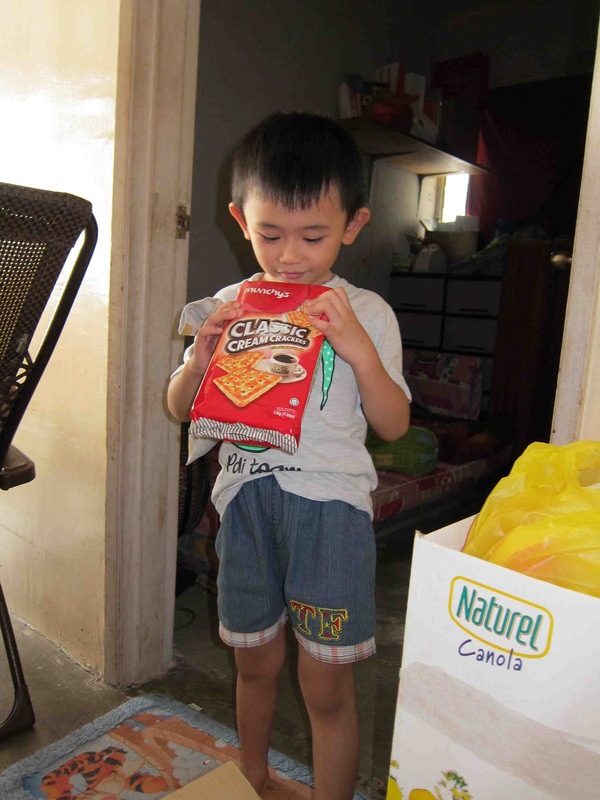 We would like to express our heartfelt appreciation to all our donors for April 2013 FOOD BANK program. 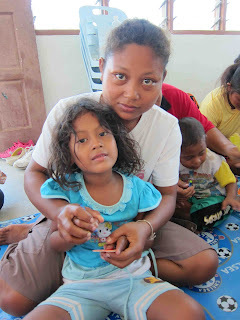 Without your support, these families and their children will likely not have enough to eat by the 3rd or 4th week of the month when the families’ paycheck is all used up. 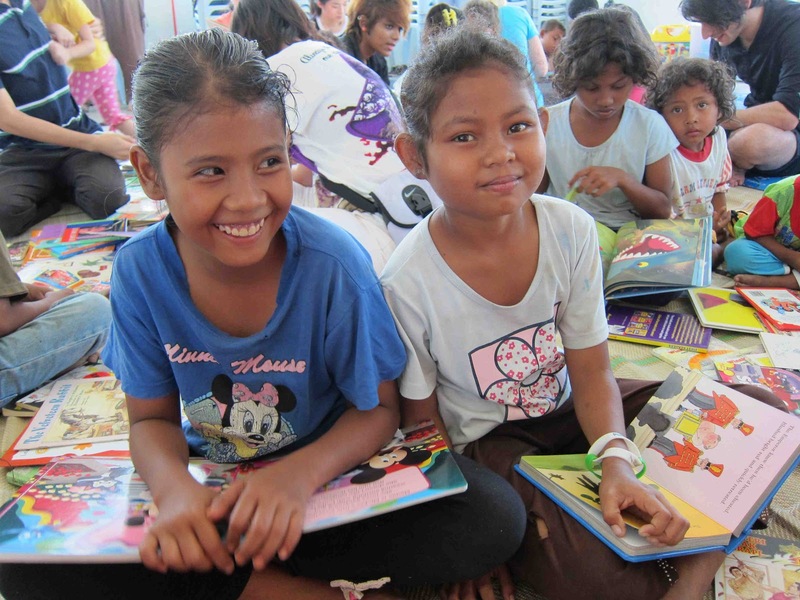 First and foremost, we would like to THANK all our DONORS for your support of our projects and activities, be it through contribution in cash, materials or volunteer time. We have grown through leaps and bounds, and this is attributed to the strong support we have been getting from our DONORS and VOLUNTEERS. We are happy to share the good news with all our SUPPORTERS that we have embarked on a new program, called MOW HAPPY CHILD. 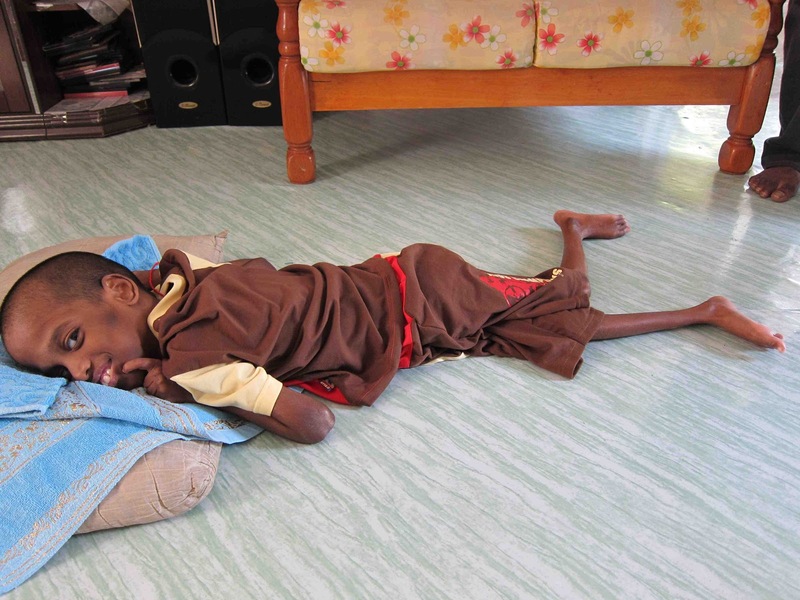 The objective of MOW HAPPY CHILD is to provide support to terminally or chronically ill children from under-privileged families. 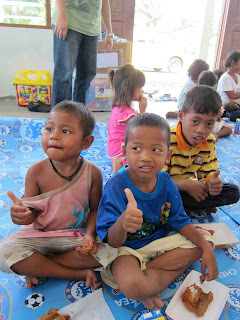 The support can be in the form of sustenance and medicine, to enable the child to have a better quality of life. 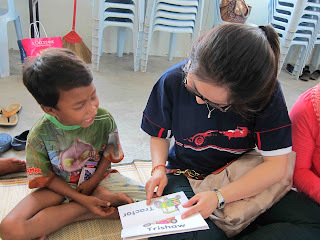 We will be recruiting more suitable children for our MOW HAPPY CHILD program, and we will keep you posted. 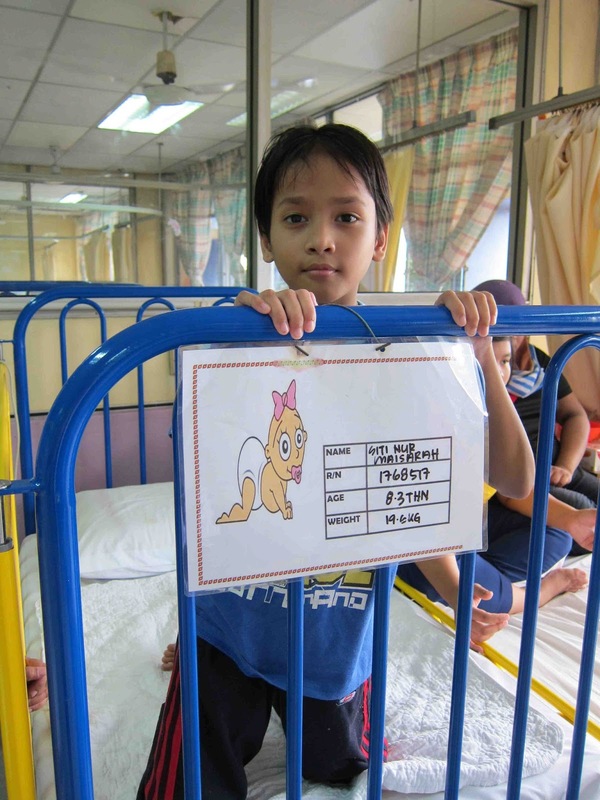 If you wish to donate to MOW HAPPY CHILD general fund, please contact June at 03-77849002 or Kim at 012-3036019 or email trccpenchala@gmail.com. 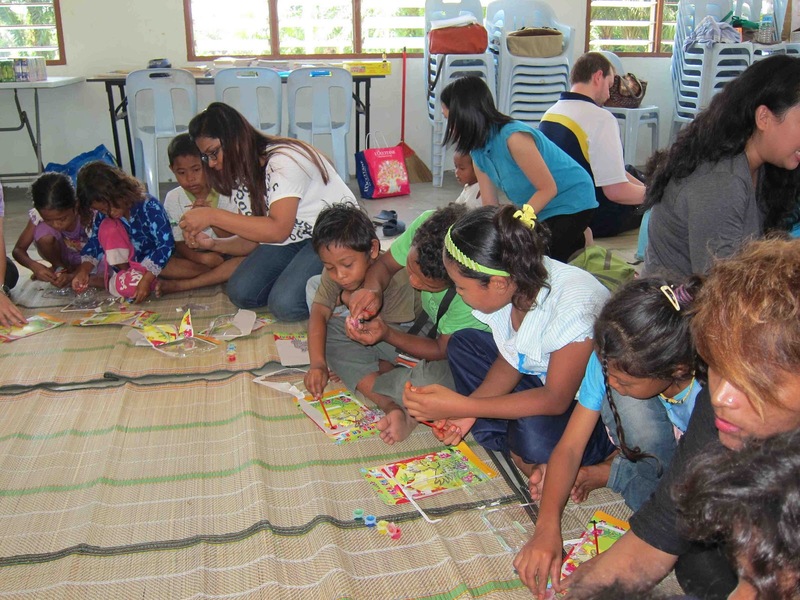 Donations in cash/cheque can be deposited into our account (Acc Name: Ti Ratana Community Centre Penchala, CIMB, Acc No: 14660000259057). 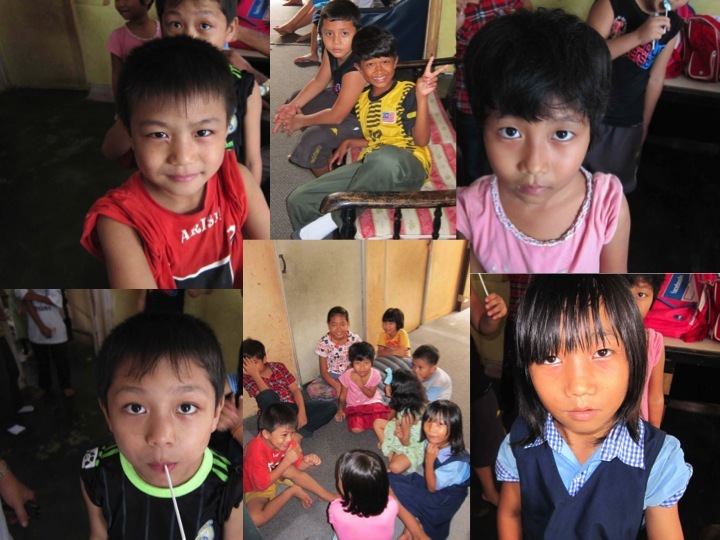 Please email the bank-in slip to trccpenchala@gmail.com and specify in the email the funds is for MOW HAPPY CHILD. MOW HAPPY CHILD program is set up solely for the intention of giving support in nutrition and medicine only, as such we do not encourage cash/cheque to be given directly to the recipients. 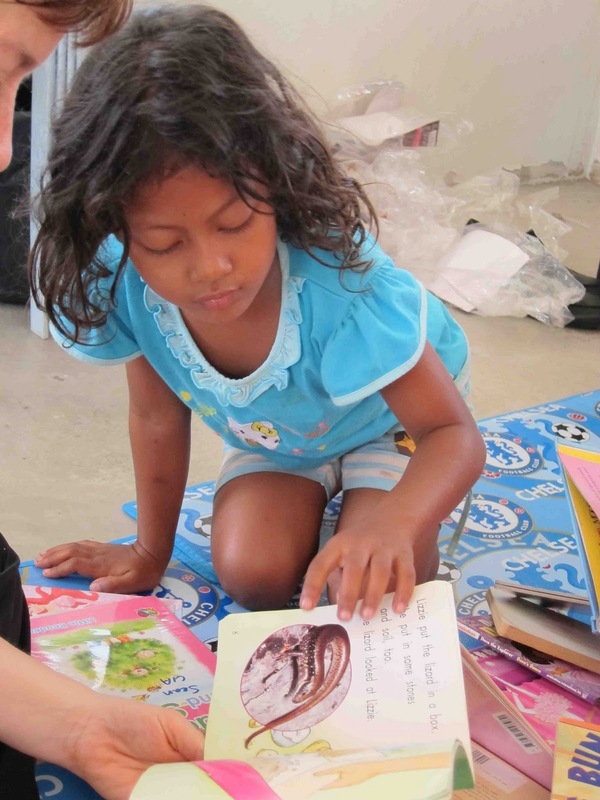 This policy by Meals on Wheels Ti-Ratana is created so that we can manage the donation by keeping you updated on how your contribution is spent and to avoid abuse of the donation. In the event you wish to donate cash/cheque to them directly for other expenses and other usage you are most certainly welcome to do so but we will not be in the position to manage and report on the donation. Thank you in advance for your support in helping MOW HAPPY CHILD recipients have a better quality of life. 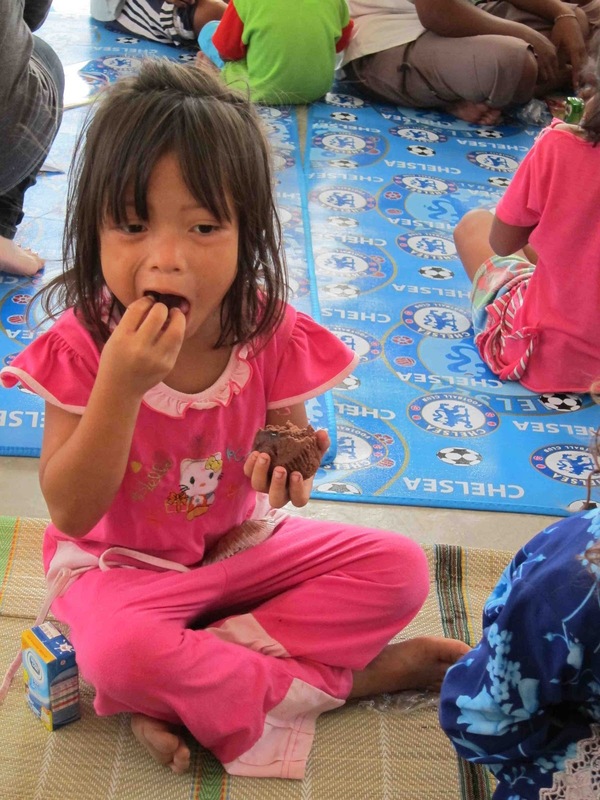 These innocent children were borne not knowing that they will be uprooted from Myanmar, their homeland, be stateless and living with the uncertainty of not knowing when they will finally have a place to call home. 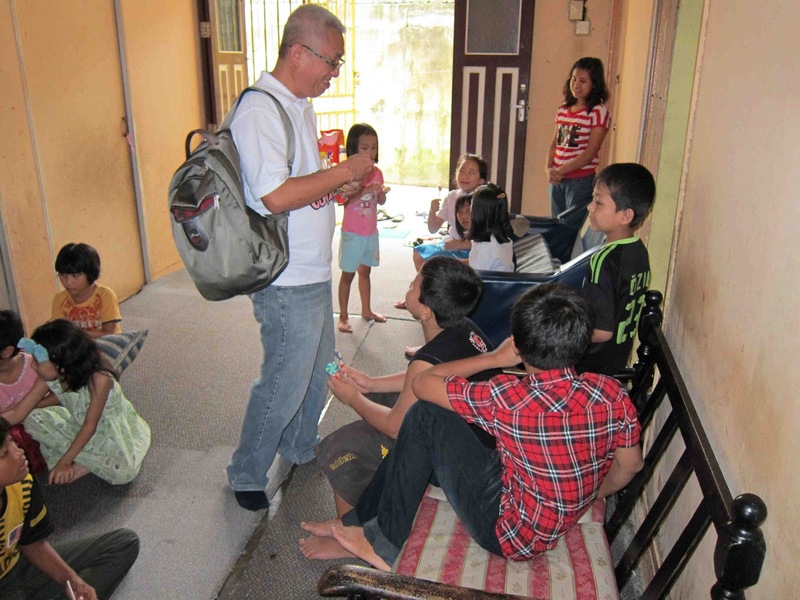 Pastor Gabriel Paul, from Full Gospel Assembly, and his wife took 23 such children into their lives in 2008 and established the Rawang Learning Centre (RLC). 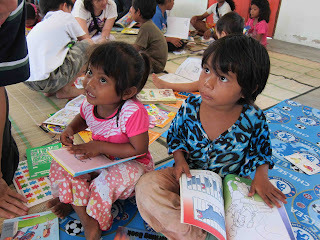 Most of the parents of these children work elsewhere and visit their children at RLC weekly or less often. 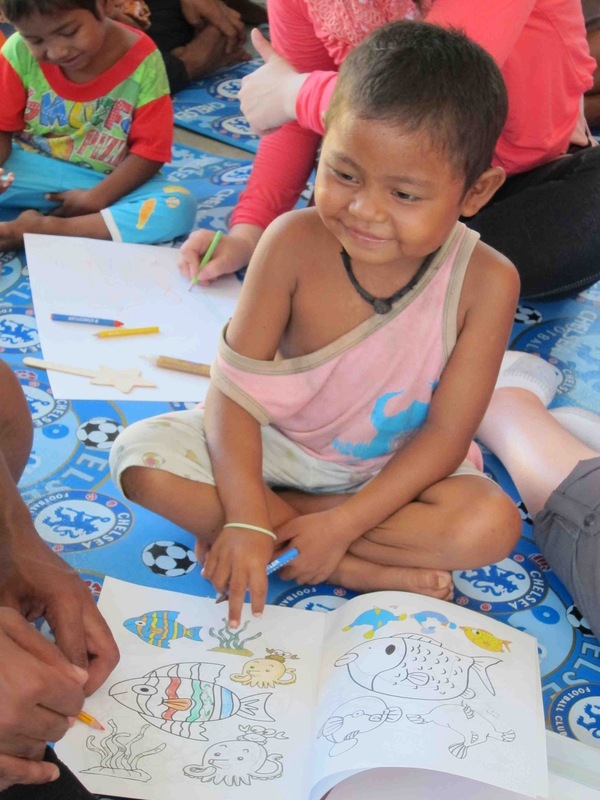 The RLC provides shelter, food and education to these children, with the support of 3 volunteer teachers and 1 caretaker, all from the Myanmar community. It may take as long as 5 years or even longer before their immigration papers are in order for their relocation to a country that will take them in permanently. Meanwhile, they have to survive ‘in-transition’ and make the best of the situation. 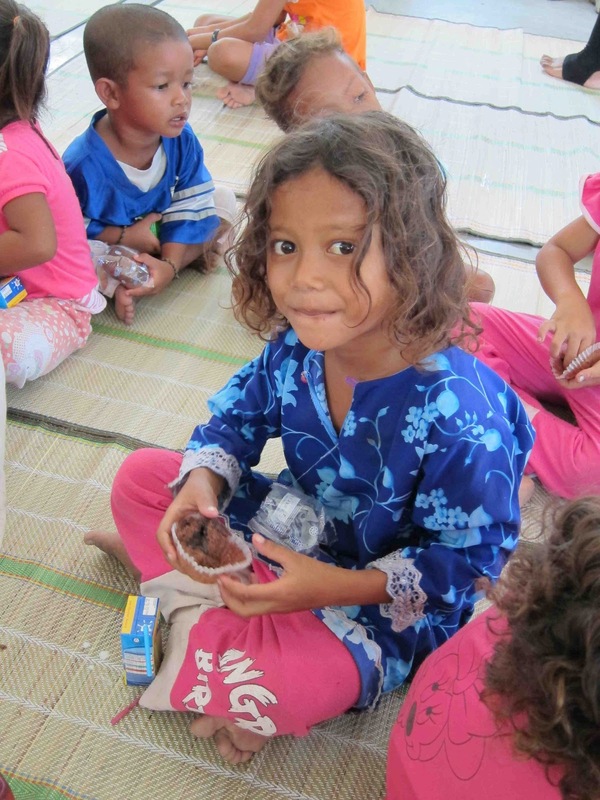 To help them stay healthy, Meals on Wheels, together with Lions Club, will be providing free medical checks at a mobile clinic for these children and other Myanmarese refugees in Rawang. We will also provide vaccination for the 23 children at the RLC. 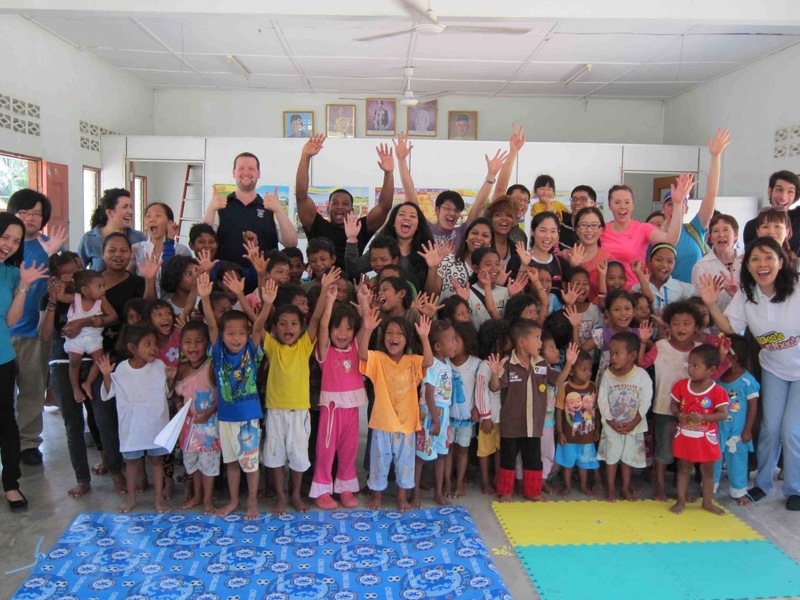 We visited the Centre recently to discuss the event with Pastor Paul. Below are the items requested by RLC, as well as refreshments for the event. 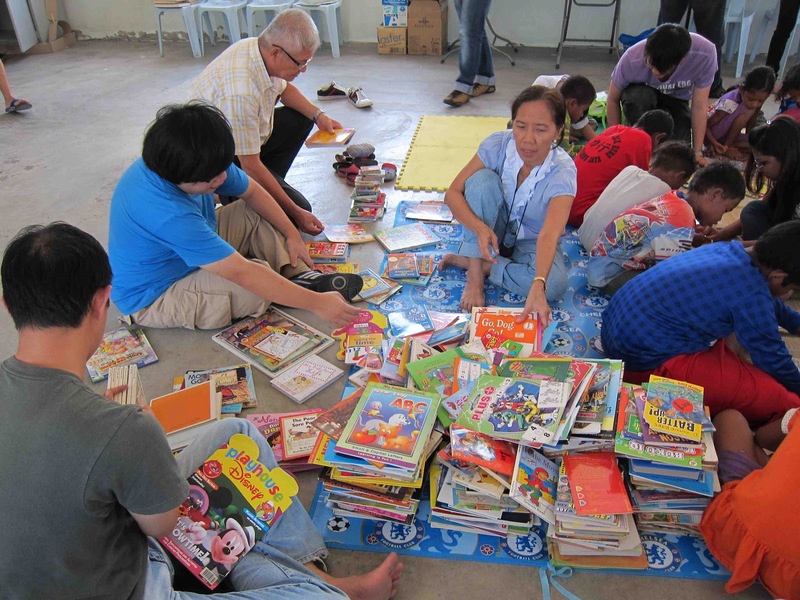 We have not specified the quantity of items requested by RLC, so we will just bring along whatever that is contributed by donors. 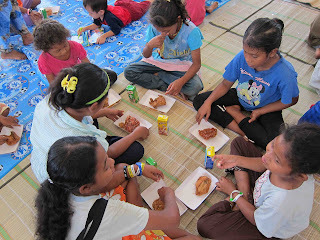 For the refreshments, we are catering for 200 people, which will include volunteers from Lions Club and Ti-Ratana MOW. For all items, you may sponsor the actual items in whatever quantities or donate cash (any amount) by banking into our account (Acc Name: Ti Ratana Community Centre Penchala, CIMB, Acc No: 14660000259057). 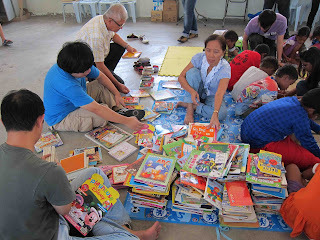 All items must be delivered to Ti-Ratana Penchala Centre by 5pm, Wednesday, 5th Jun 2013, to give the committee sufficient time to buy any outstanding items and pack the items. If you would like to contribute to this event or need more details, please call June at 03-77849002 or Kim at 012-3036019 or email trccpenchala@gmail.com.